If you’re thinking about securing your property with a fence so that you can safely let your children play or easily let your pet outside, there are important considerations to keep in mind. Several options are used to build fencing, and this guide will explore wood and chain link. In the sections below, we will explain the differences between these options to help you make an informed decision. Wood fences provide the most versatility regarding design and finishing options. These fences can be painted to match your home’s exterior and decorative features, and lattice work or metal fixtures can be added for a custom look. 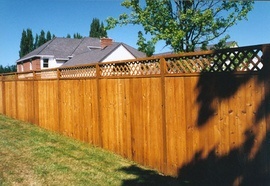 Wood fences can be built from different kinds of wood, with the most common being pressure-treated pine. Spruce and cedar are other possible options. These fences range in height and include ranch/split rail, picket, and privacy styles. Chain link fences have fewer design options and are usually limited to black, green, brown, or silver colors. 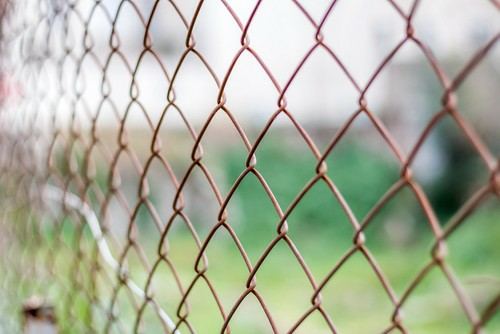 Generally, chain link fences are used where privacy is less of a concern, and their utilitarian design is ideal for enclosing areas for pets, around HVAC units, or in industrial settings. 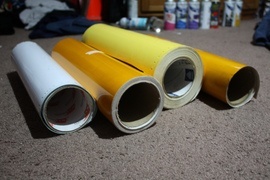 The fence material is made from galvanized aluminum and can be coated in vinyl 1. Chain link fences are typically only 4 feet in height but can be built to 5- or 6-feet high. Both wood and chain link fences can be installed as a DIY project. However, there is considerable labor involved. Digging holes for fence posts 2 takes a lot of time and effort and typically requires specialized equipment. Fence posts 2 should be cemented into the ground to prevent shifting or leaning over time. Using a professional is recommended because of necessary permits, site inspection, and grading 3. Wood fences require each fence board to be nailed individually to rail 4 posts. Depending on the size of the fence, this can take many hours to complete. Chain link fences are sold in large rolls, so once the posts are installed the fence material is unrolled and attached to each post. This makes for a quicker installation. The cost of a wood fence is dependant on the style, height, and type of lumber selected. For a 6-foot high, 209-yard privacy fence 5 with a gate, concrete posts, and removal of the old fencing, the cost for materials is between $8 and $18 per linear foot. Labor costs, if charged hourly, are between $25 and $50 per laborer. The total cost for this project ranges between $6,500 and $10,000. Many companies, however, will offer a flat rate quote so that homeowners are not surprised by additional costs. Chain link fences are a more inexpensive option that can make them attractive for covering large areas in need of security, like around a business or industrial area. For a 4-foot high, 209-yard fence, materials range in price between $7 and $12 per linear foot. Labor costs range between $8 and $15 per linear foot, making the total cost for this project between $3,000 and $5,200 on average. Additional items like gates, vinyl 1 slats, or fabric screens will increase the total cost. Wood fencing can provide considerable privacy depending on the design used and are ideal for securing a space used for playing, relaxing, or entertaining. A wood fence can be built to various heights to provide additional privacy, like around a pool area. Chain link fences don’t provide a lot of privacy because the mesh material has large spaces that make these fences virtually see through. Slats can be installed in the chain link material, which provides some privacy. Chain link slats are usually sold by the box. They come in a variety of colors to help your fence blend in with the rest of your property. 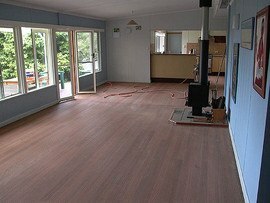 A box of slats costs around $45, and professional installation adds $2 to $3 per linear foot to the installation cost. Because the slat material is visually unappealing and not very durable, this option is not commonly used. Wood fencing can completely block light and might not be the best choice if you have plants or a garden nearby. Chain link fences allow a lot of light through and may be ideal if you’re simply looking to limit access to your yard or protect a specific area, like a vegetable garden. 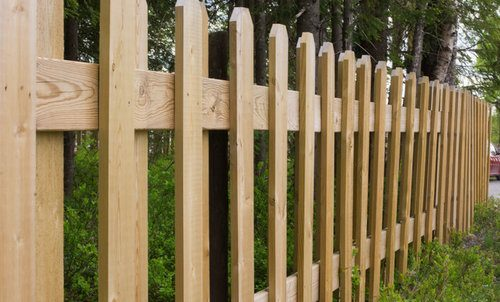 The maintenance requirements of wood fences are considerable in order to keep them in good repair and looking great. Depending on the paint used and climate you live in, your wood fence may require annual sanding 6 and painting or staining. Moist or wet climates may cause the wood to rot, and termites can also be a problem. If not properly installed and cemented into the ground, posts can lean or fall and will likely cause damage to the portions of the fence close to the damaged post. Depending on the amount of damage, repairs can be costly as sections of the fence may need to be rebuilt using new materials. Chain link fences require little maintenance because the metal and other materials used are very durable in a variety of climates. The galvanized metal has been treated using a special process that makes it less likely to rust. Metal is also stronger than wood and won’t sag over time like a wood fence. 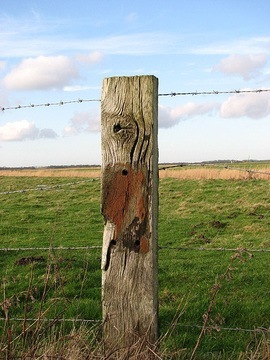 Typically a wood fence lasts around 15 years before it needs replacement. A chain link fence will last approximately 20 years, and if you’ve selected a mesh material coated with vinyl, you can expect an even longer lifespan. Wood fences may initially seem like a sustainable option, but this is dependent on where and how the wood was harvested. Clear cutting of old-growth forests for lumber can cause significant damage to the surrounding ecosystem. Additionally, many lumber products are treated with toxic chemicals to prohibit insects and mold growth. Chain link fences are made from easily-accessed raw materials, but they still require a significant amount of energy in the manufacturing process. How much does it cost to install a wood or a chainlink fence in my city? Cost to install a wood or a chainlink fence varies greatly by region (and even by zip code). To get free estimates from local contractors, please indicate yours.